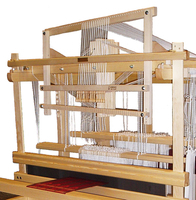 The Glimakra loom factory is located in Oxberg Sweden. 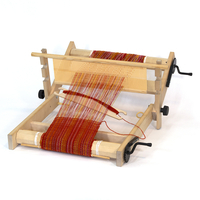 It is a town known for many centuries for making beautiful and functional looms and reeds. 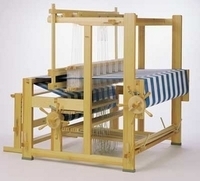 It is also an area of forests which provide the wood for the looms. The weaving traditions are very strong in this area and looms have been made here for many centuries. Here weaving traditions have never been broken and the knowledge of the past has been continually passed on in the families and communities. 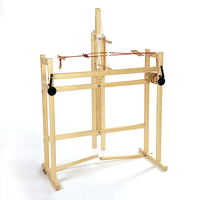 The company started as a reed making business and then became a loom making company. 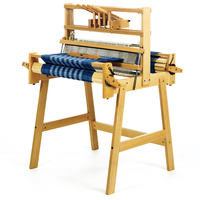 Their looms are made with all the fine craftsmanship and features of traditional Swedish looms. 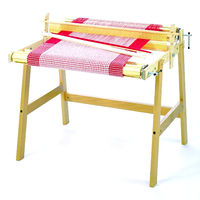 Swedish pine and birch trees are specially chosen for each part of the loom. Only the lower bole of the tree is used and the factory rejects about 90% plus of the wood as they select the best pieces. Birch is well known as a fine hard wood. The Swedish pine which grows in this area of Sweden has very close growth rings, making it a very hard, strong wood. 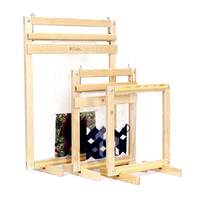 Pine is the traditional wood used in Sweden for making the frames of the looms. The wood is very carefully finished with a fine film lacquer to give a smooth surface, which is necessary for the movement of threads on the beams. The company used refined woodworking techniques and modern (CNC) computerized equipment to assure perfect fit, finish and function. If you are in the area of Sweden be sure to arrange a visit with Jan-Olav.